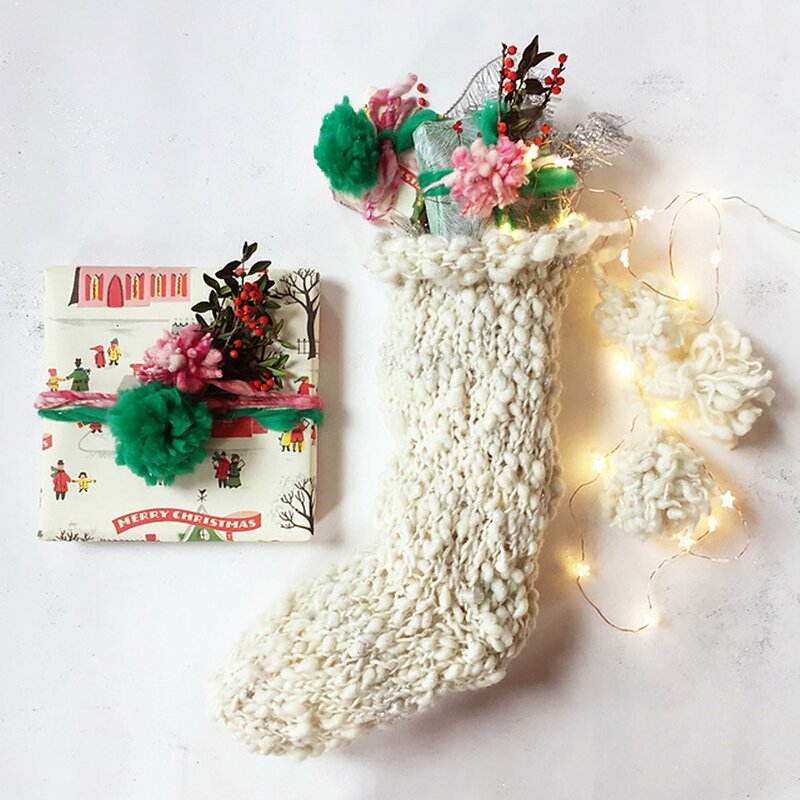 Taken from: Knit Collage "Holiday Stocking" - Add a little sparkle and handmade happiness to your holiday mantle this season. Our holiday stocking calls for 2 skeins of yarn and is super fast to complete, making it a perfect quick project to show off our special handspun yarns. Make sure to add pom poms, tassels and a jingle bell at the bottom too! Size US 15 needles (or size needed to obtain gauge) are required but not included. Finished Measurements: one size; approximately 6.5" wide x 20" long. Gauge: 8 stitches and 10 rows = 4 inches. Color shown is Coconut Sparkle. $74.00 -- Kit price including yarn only (no book or pattern). $79.00 -- Kit price including yarn and pattern.